Since I was a Kid, I have been a Greedy fellow!! Greedy for Gifts, Complimentary products, Buy One Get one (BOGO) Give Aways. Be it Kissan Sauce, Maggi Noodles, 7UP Fido Dido Give aways etc. So, I picked 1, Then 2, Then 3. And then asked Gurleen “May I pick 3 more to make a set of Six…… I heard my Intelligent Wife’s Brain say NO!! But She spoke what her heart said… as she knew I was waiting to hear YES!! 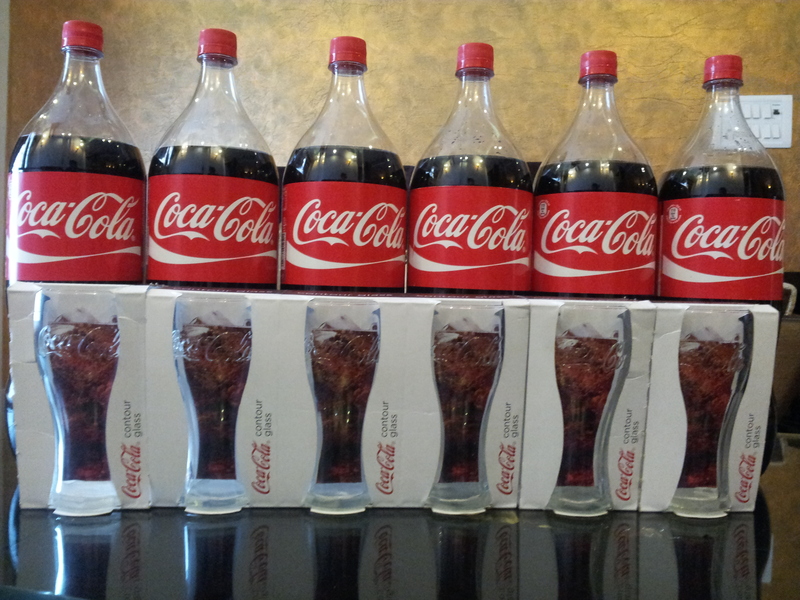 So, now I have a Set of 6 Coca Cola Glasses and a Quota of Coke to last 3 months. If any one of you is around…. feel free to drop in for a Glass of Coke in the new Glasses!! Disclaimer: Coca Cola did not pay me anything for this update.